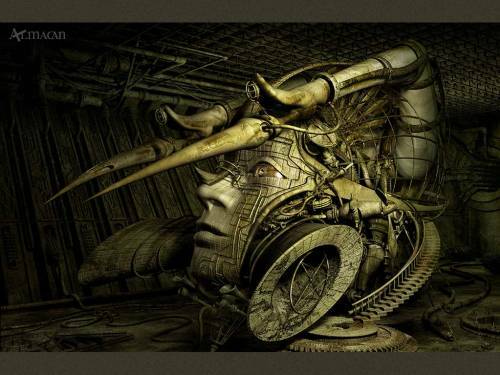 Digital portrait surrealism wild dynamic fantasy expressive modern aggressive mechanical energetic furious contemporary surreal violent destructive dark natural antagonistic cool background pattern. Original picture size: 1023 x 768 pix. Web: Welcome to my site Mechanical Mirage Art Gallery. Triceratops, 3D Digital Art, Surreal Art - desktop wallpaper.